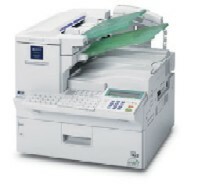 The RICOH� FAX5510L and FAX5510NF are designed for today�s demanding document communication needs. They offer outstanding versatility and cost-efficiency. These two powerful systems set a new standard in office technology by providing a wide assortment of convenience features. 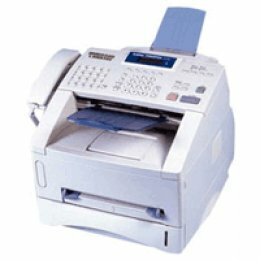 Make your communication task easy whether your application needs require a high volume standalone fax (FAX5510L) or a network configuration (FAX5510NF) that can send color documents over the Internet. These models can significantly reduce operation costs and expertly handle your company�s vital document, hard copy or electronic, communications. Ricoh has made it simple to send documents directly to a recipient�s email address in color to anywhere in the world and without incurring the charge of a fax transmission. Now you can send critical color documents such as photos, brochures, maps, business charts, floor plans, or any documents you can imagine up to 11" x 17" in size and up to 600 dpi resolution. Send any colorized document directly to the recipient�s email address. Just simply enter the address via the FAX5510NF�s keyboard. Press start and the document is on its way. It's easy as sending a fax.